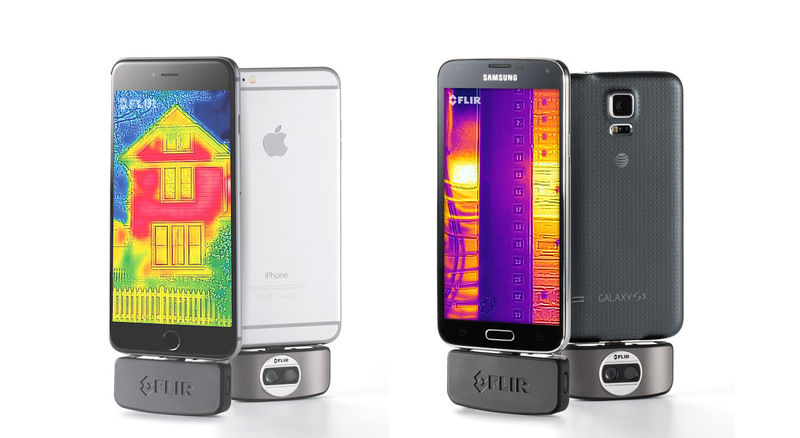 FLIR has announced a new second generation of their Flir One thermal imaging accessory for smartphones and tablets, making it useable on wider range of devices and adding a version for Android OS as well. 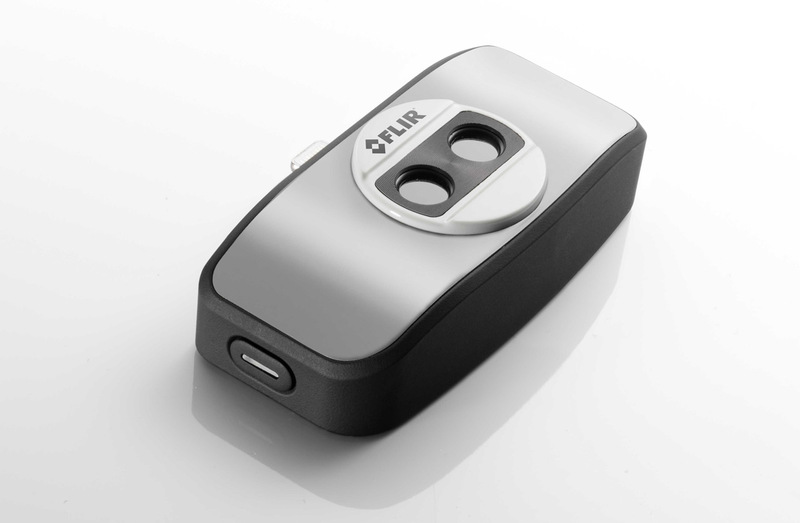 Originally the FLIR ONE was compatible with iPhone 5 and 5S only as it was made specifically to fit the form and size of these devices, but the new version comes in totally device independent design. The new FLIR ONE utilizes either a micro-USB connector for Android devices or a Lightning connector for iOS devices to offer a compact accessory that easily connects to a smartphone or tablet. 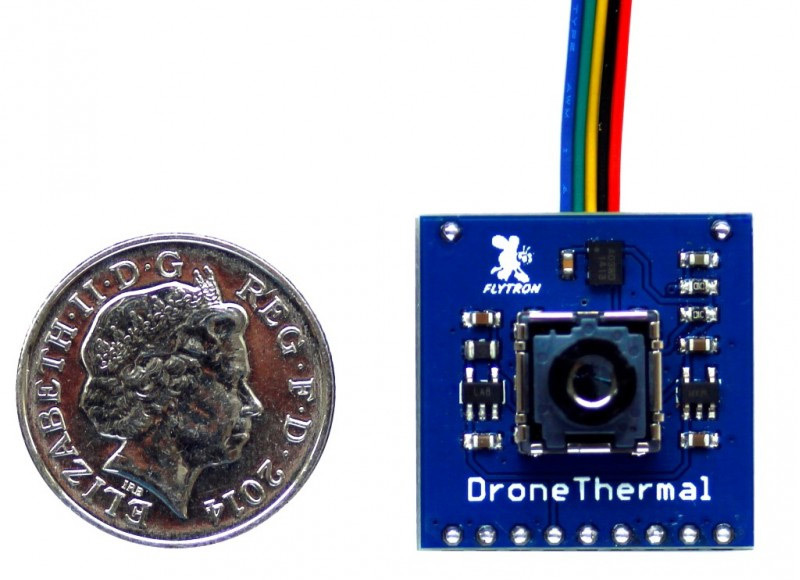 The FLIR ONE is powered by an internal battery and utilizes FLIR’s latest generation Lepton thermal camera core, which features four times the resolution of the previous version. Images are further enhanced with FLIR’s patented multi-spectral dynamic imaging (MSX) technology, which embosses the edge details from FLIR ONE’s visible camera onto the thermal image producing high fidelity images. – Battery capacity: 350 mA/h. FLIR ONE neither consumes power from the connected device battery, nor charges it. When inactive, FLIR automatically switches to low-power mode to maximize its battery life. – Device compatibility: Android products containing a micro-USB and Apple products containing a lightning connector, including iPhone 6 and 6 plus, among others. 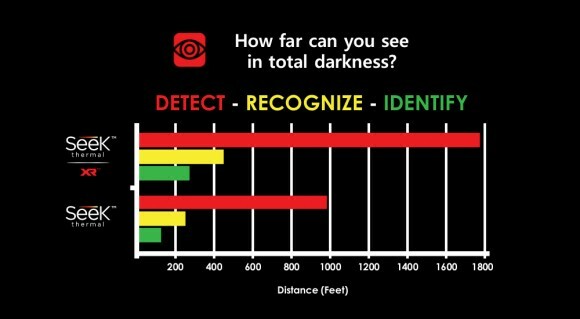 There are several areas where the new FLIR ONE is better than the first model. You apparently get a more powerful thermal sensor with four times the resolution for crisper and clearer thermal images (160×120 up from 80×60 of the old Lepton sensor). It also features automatic tuning, so there is no need to manually tune the device for optimum temperature detection. There is a new lighter-weight design that is less than a third the weight of the original. Also the temperature range has been increased with another 40 degrees, including support for minus temperatures that can be quite useful at times. The second generation FLIR ONE comes with with an MSRP of $249.99 USD and should be available worldwide starting July for iOS devices, with the Android-compatible version to available in July. The first generation FLIR ONE for Apple’s iPhone 5/5s platform is now available at a reduced price of $149.99 USD down from the original price of $349.99 USD when it was launched last year. Seek Thermal has released the Seek XR, an extended range version of its thermal camera accessory designed to be used with Apple iOS and Google Android smartphones or tablets. The new extra range model is created with outdoor enthusiasts in mind, allowing people to literally see heat, making it possible to spot people and animals in total darkness. 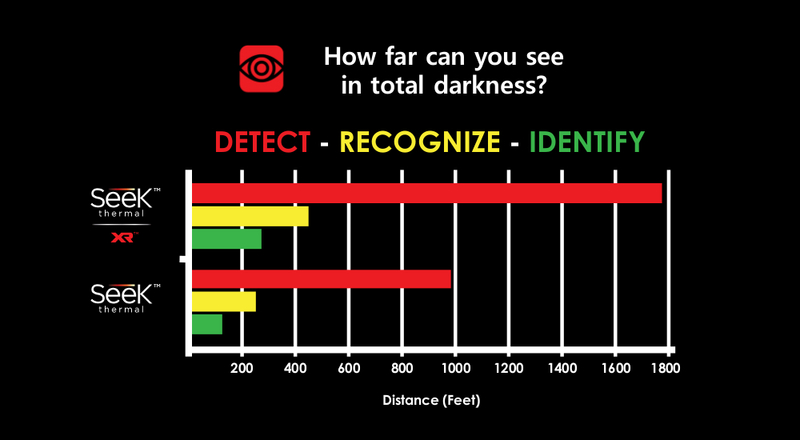 For hunters, the Seek XR can be used in daylight, the dark, or in obscured visibility conditions. It’s useful for scouting, blood trailing, hunting game, and much more. The new Seek XR has a manual focus lens for viewing objects at close range, or at distances of up to 2,000 feet or around 610 meters. Specification wise the next Seek Thermal XR is identical to the standard version of the thermal imaging accessory, the only difference being the lens used on the two models. The long range XR version comes with a manually adjustable focusing lens and a reduced field of view of 20 degrees as opposed to the fixed focus lens and the 36 degree FOV of the standard Seek Thermal version. According to the manufacturer the XR model is ideal for Hunters, Boaters, Campers, Electrical Engineers and anyone looking for increased home security can detect intruders from nearly up to about 2 thousand feet away. As with the original Seek Thermal accessory the new XR model is available in a version designed for iOS as well as for Android with a price of $299 USD as opposed the $50 USD cheaper standard model that is available for $249 USD.